A fine-scale numerical model for road surface parameters prediction (BJ-ROME) is developed based on the Common Land Model. The model is validated using in situ observation data measured by the ROSA road weather stations of Vaisala Company, Finland. 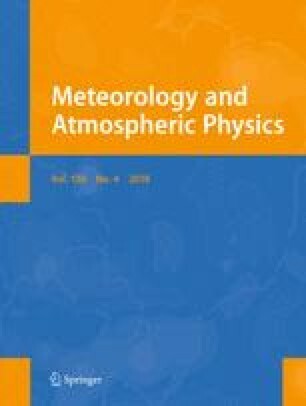 BJ-ROME not only takes into account road surface factors, such as imperviousness, relatively low albedo, high heat capacity, and high heat conductivity, but also considers the influence of urban anthropogenic heat, impervious surface evaporation, and urban land-use/land-cover changes. The forecast time span and the update interval of BJ-ROME in vocational operation are 24 and 3 h, respectively. The validation results indicate that BJ-ROME can successfully simulate the diurnal variation of road surface temperature both under clear-sky and rainfall conditions. BJ-ROME can simulate road water and snow depth well if the artificial removing was considered. Road surface energy balance in rainy days is quite different from that in clear-sky conditions. Road evaporation could not be neglected in road surface water cycle research. The results of sensitivity analysis show solar radiation correction coefficient, asphalt depth, and asphalt heat conductivity are important parameters in road interface temperatures simulation. The prediction results could be used as a reference of maintenance decision support system to mitigate the traffic jam and urban water logging especially in large cities. This work was supported by the National Natural Science Foundation of China under Grant 41375114.